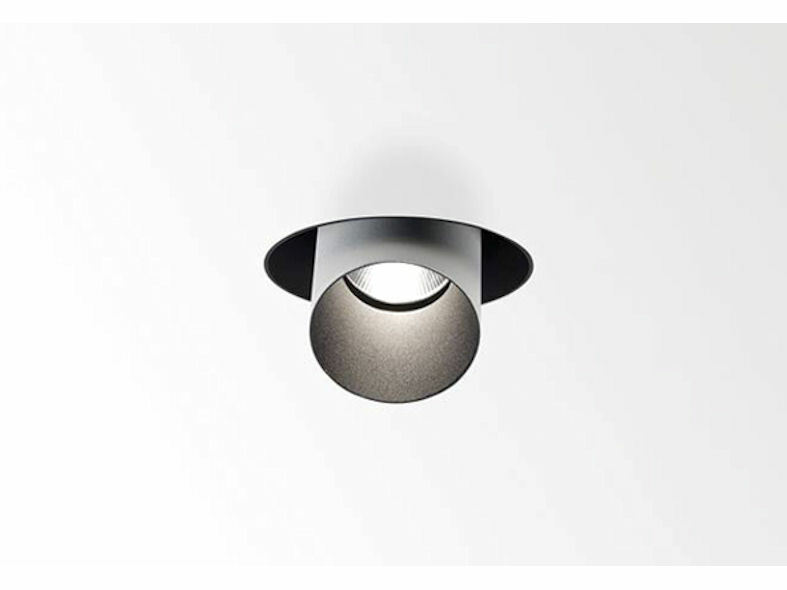 Both versions use the Ex-centric Rotation System (ERS) developed and patented by Delta Light®. 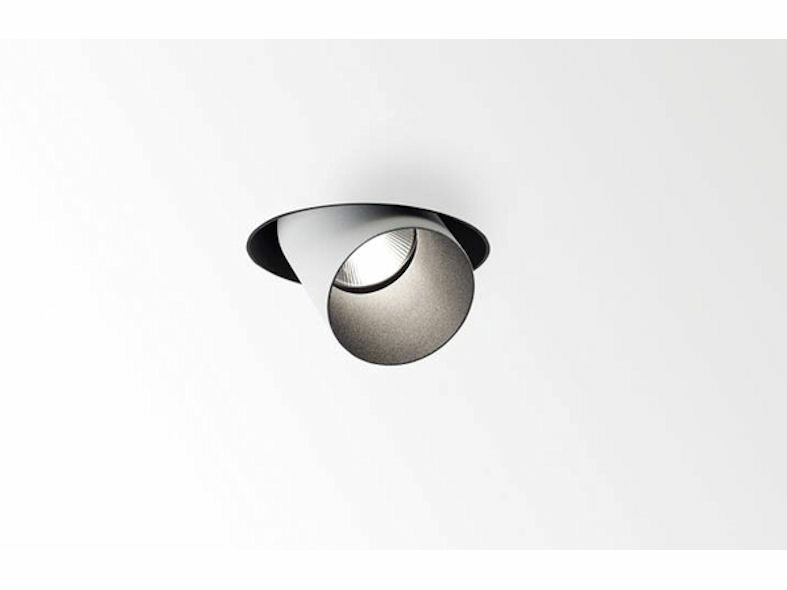 This means that they can be moved and angled in a very dynamic and fluid way, with no sight into the ceiling, regardless of position. 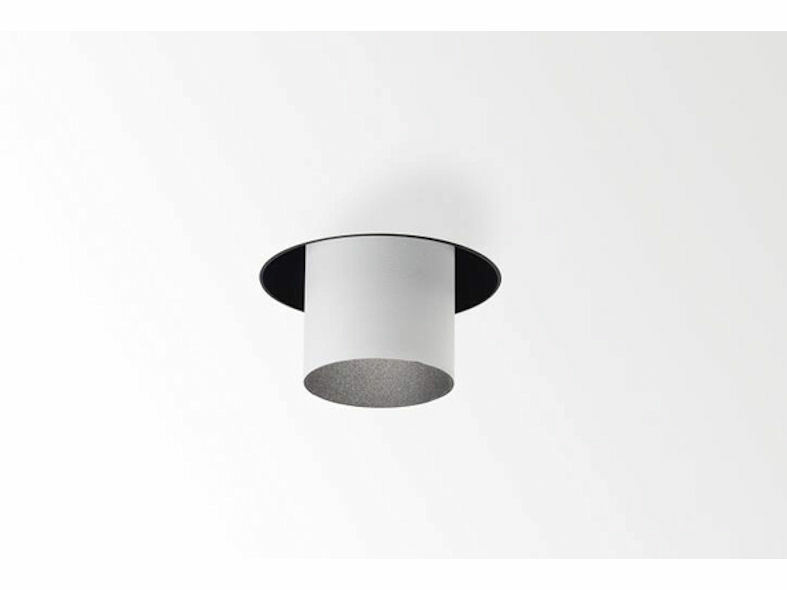 While the Mini Spy comes in a version with trim, the Spy is either available with trim or trimless for seamless recessing in the ceiling. The inner shell is black, combined with a white outside, which gives the impression that the tubes are floating in space. 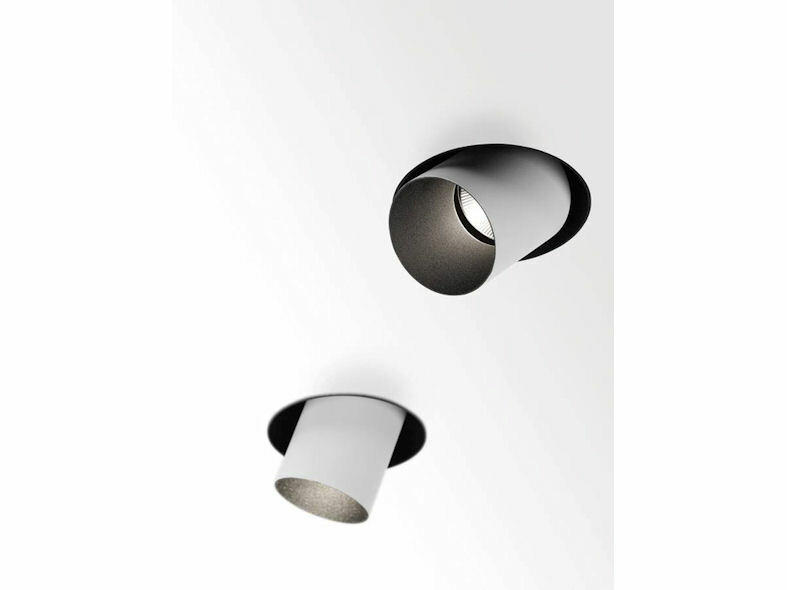 For the larger fitting, you can fit a removable insert in white, black or gold. 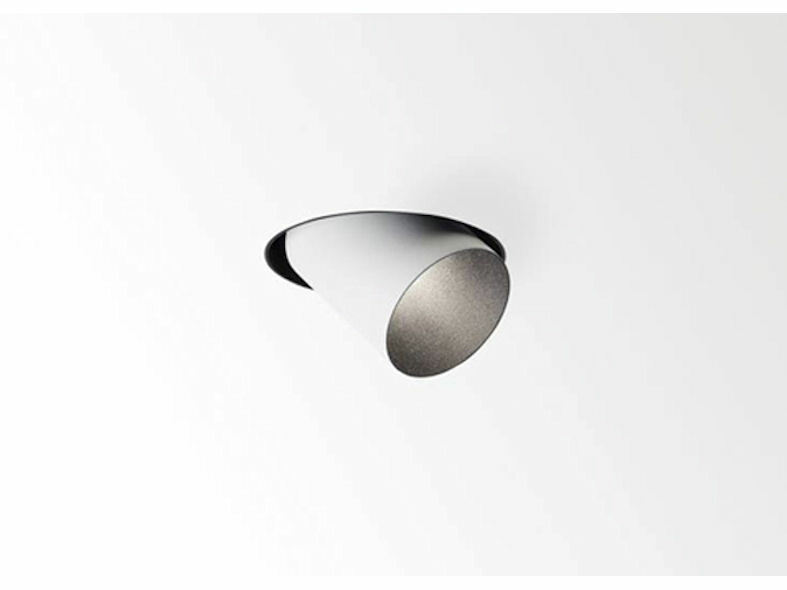 The LED light source is deeply recessed into the fitting, so it cannot be seen. The Spy can be further upgraded with a series of accessories while the Mini Spy also can be used in the new Finnline made-to-measure profile.